Smooth grey stucco. 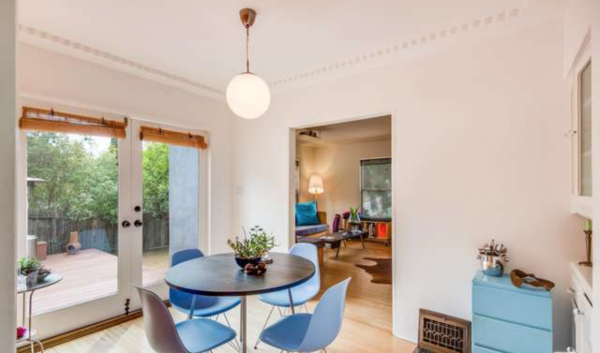 Words you rarely hear together–particularly in a positive light–and yet, checking out this 2 bedroom, 1 bath 1937 traditional, I find it oddly appealing. 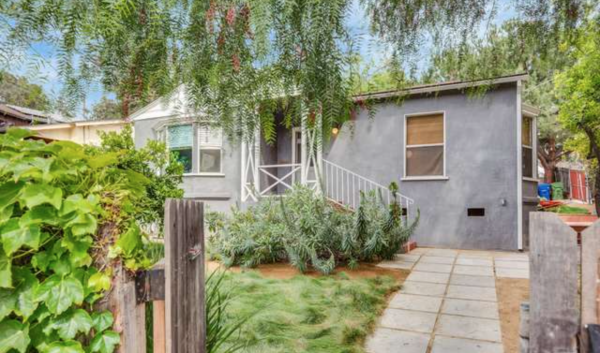 If anyone is wondering whether Silver Lake prices have made their way into Echo Park, let this $749,000 home be an example. 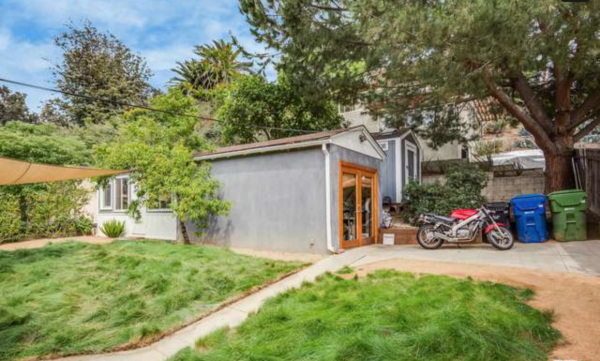 Sure that’s on the lower end of Silver Lake, but this thing is priced to sell and will probably end up somewhere north of the price tag. 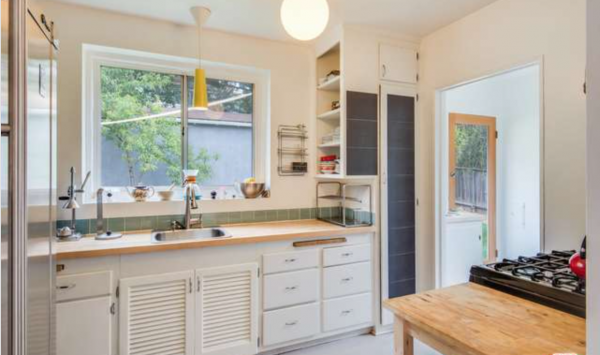 At just over 1,000 square feet, you’re getting a home that’s been updated enough with the basics, like central air and heat, while maintaining original details such as hardwood floors, crown molding, and built-ins. The dining area is small, but with French doors leading out to a large deck, there is plenty of space to expand. 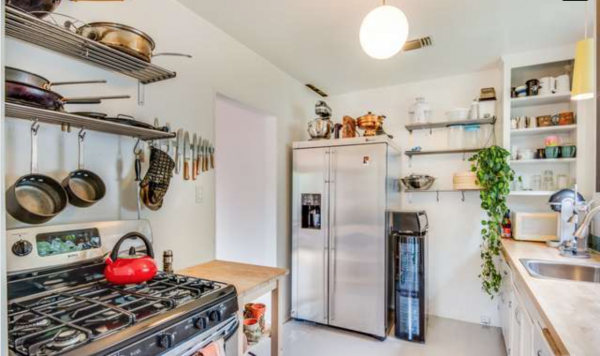 With regard to the kitchen, I must ask, have we reached peak white cabinet/faux butcher block yet? Yes, it’s a timeless look that works here, but at this point it would be great to see some out-of-the-box ideas. A simple color, maybe a light olive green would also look nice, no? 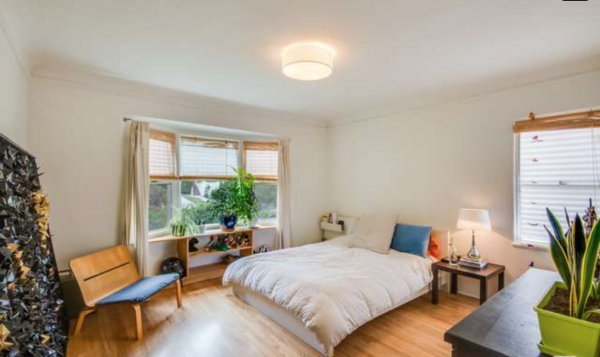 The bedrooms are more than adequate in size, with both offering plenty of natural light. 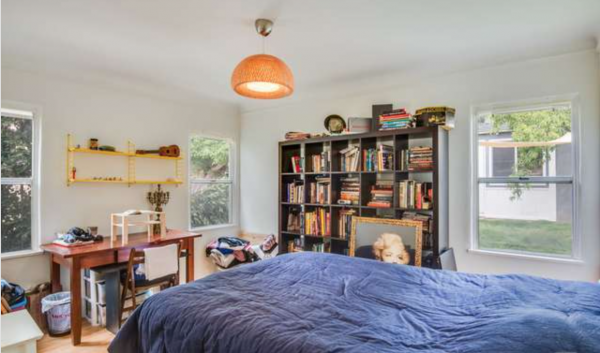 Additionally, I also have to compliment the choice of light fixtures–whether in the bedrooms, dining room or kitchen–each one is unique yet maintains a general theme throughout the home. Well done. The bathroom is a perfect example of an update done right. What I mean by that is they left the period details alone. 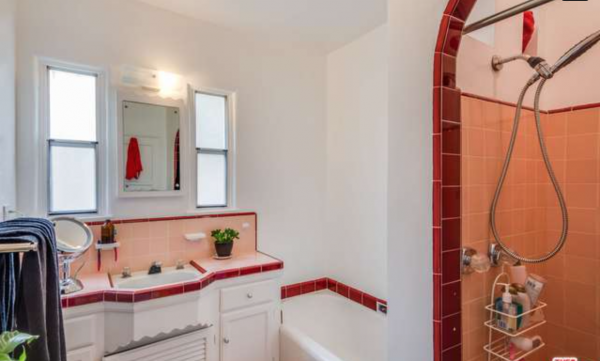 Sure you could Ikea-fy it, which happens far too often, but the red and pink tile are adorable, and we don’t mess with adorable things. 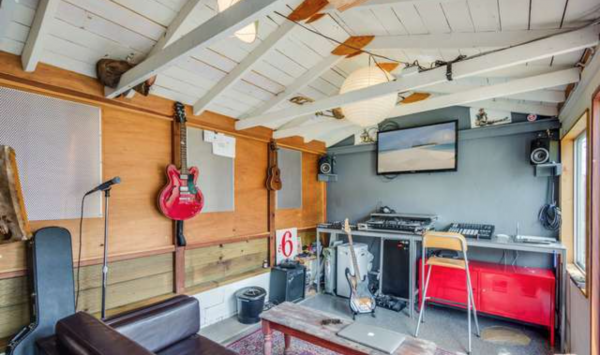 There is a cool “studio” space built into the garage for all the artsy self-employed people to work in peace. Or, if you have a normal day job, a comfortable place to decompress. Outside things get a bit mixed. 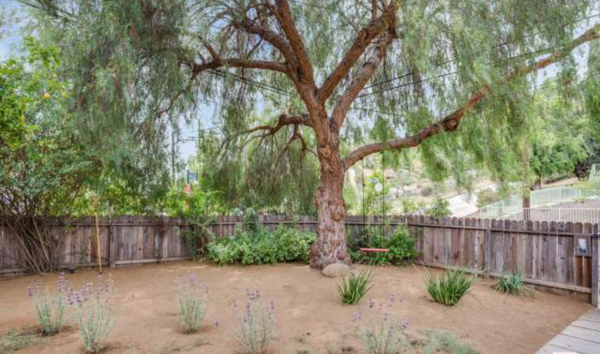 For those who love the look of lush gardens, an ample amount of the front and backyard comprises of zoysiagrass (Korean lawn grass), while a nice portion allows for drought-tolerant, decomposed granite. I guess it shows you care a bit to have the best of both. 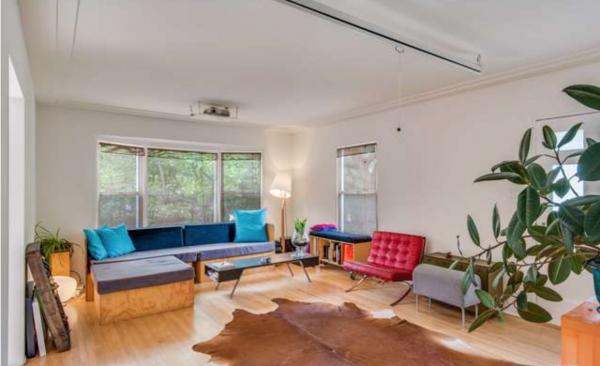 Edward Faktorovich of Figure 8 Realty has the listing.